Going commando at Japan’s natural hot spring baths make taking a dip an other-worldly experience. We answer questions for first-timers and highlight five hot springs for you to get "eau naturale" during your fall and winter travels. The Japanese cult of relaxation — and, yes, getting naked — is far from jam-packed trains and technology’s endlessly time-gnawing demand. Don’t be shy. Strip down, bathe and partake in an onsen (hot spring bath), one of Japan’s oldest pastimes. Like most things here, a common occurrence is transformed into an art form among the forests of Gunma Prefecture, the ocean side of Shizuoka or the mountain peaks of Hokkaido. 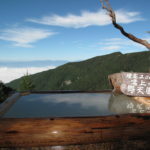 Onsen locales satiate the Japanese craving for deep nature and require that extra bit of trip planning. What I’ve learned, though, is — it’s worth it. Fully immersing myself in a day trip or a weekend getaway has stuck in my memory for life and is a very big payoff for a little legwork. When I first visited Japan, people told me, “Oh, you’ve got to try the bath houses!” Yet, what I had skeptically pictured — a crowded public pool with boiling hot water — was nothing like the real thing. And, yes, I know what you first-timers are thinking, because I thought it, too. Three years ago (when I first came to Japan), I was right there with you. Alas, I haven’t drunk Kool-aid since 1999. So, let’s get all of the big questions out of the way. Then, I’ll recommend some awesome onsen. Why would I want to bathe with other people when I can bathe at home/in a hotel? You’re not going to be sitting on a mountain top, staring out at the clouds, soaking in the purest water and letting all your worries dribble away at home or in a hotel. You’ll likely be staring at an off-white wall, in luke-warm bath water, with your phone (and all your worries) waiting for you in the next drab room. Why would I want to get naked in front of other people? There’s something radically freeing about not caring about other people’s (or your own) nakedness. Especially, if your whole life you were taught to do the opposite. In Japan, they call it “skinship” and it’s a form of family bonding and social intimacy that starts from the moment parents begin bathing with their children. For a lot of people, it’s work to enjoy the art of onsen when you come from a culture where, essentially, you only see nakedness when its Photoshopped or in adult films or, well, intimate moments. With onsen, I started to see how strange it is that much of North American culture is devoid of nakedness in a non-sexual light. 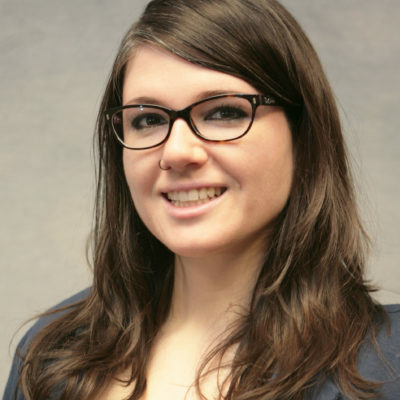 The way we see our own body must be a reflection of the supplemented reality we are only encouraged to look at or take part in for procreation (shout out to religion!) Anyway, I’m not advocating we stare at bare butts to reset our crumbling psyches. However, I am pointing out that, even in our peripheral vision, the sight of the natural human form is something that shouldn’t be so taboo. The traditional onsen is a good place to start exploring the simple joys of getting naked — not for anyone else, but for ourselves. Is it really that relaxing? Not only does it (scientifically) bring relief to your muscles and skin (water at over 42°C can apparently immediately relax and soothe tense muscles), but also your mind. No phone, no worries — just you, the water and your sharpening ability to block everything else out and just be. All aided by you, the water and your surroundings in the most simple form: au naturale. Aren’t these places totally out of the way? Most of them, yes. I know you wanted me to tell you that there are tons of places just outside the airport. But no: the best onsen experience is one that’s secluded in nature and therefore, requires more effort to get to. What if I have tattoos? While I don’t have any tattoos, we have a few tips and tricks for those who do. Plus, check out these 30 Tatto Friendly Onsen all over Japan, if you need some trip ideas were tats are to problem. Ginzan Onsen in winter is a picturesque mountain village where you’ll feel like you’re strolling around in a Japanese snow globe. Snow monsters of Zao in Yamagata. A magical wonderland that has been on my bucket list since I saw this scene where “snow monsters” roam the snowy mountainside. Naruko Onsen area has amazing fall colors. 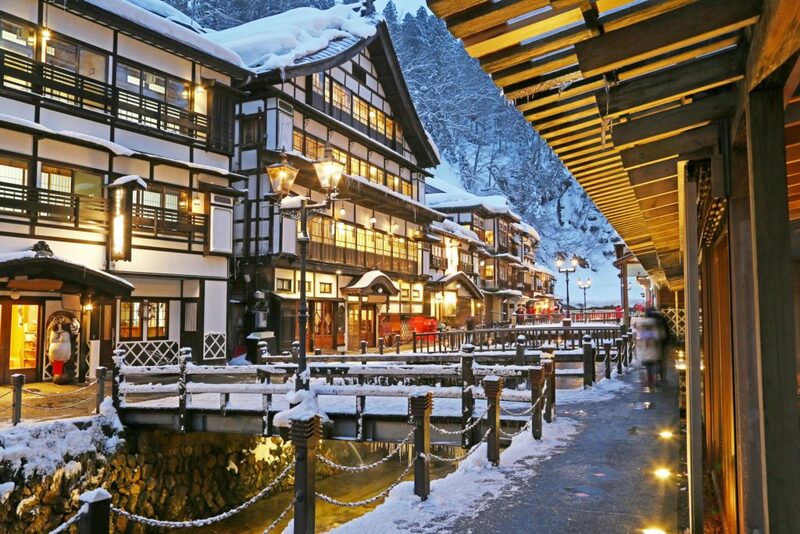 For radiant colors in fall and tons of snow sports in winter, head to this onsen village. There’s nothing better than taking a dip in an onsen after a brisk hike or a day of snowboarding. 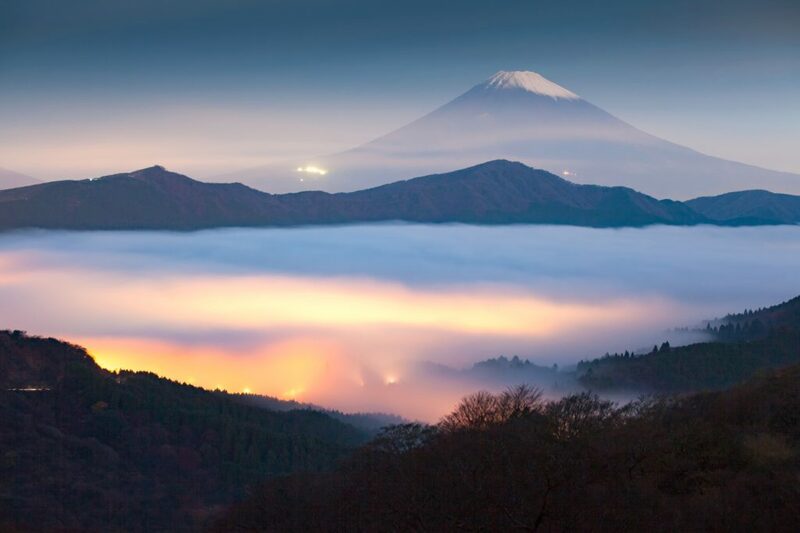 Mt.Fuji and sea of mist above Lake Ashi at Hakone in autumn’s early morning. Hakone has a lot to do and see, but it’s also famous for Yumoto Onsen area. 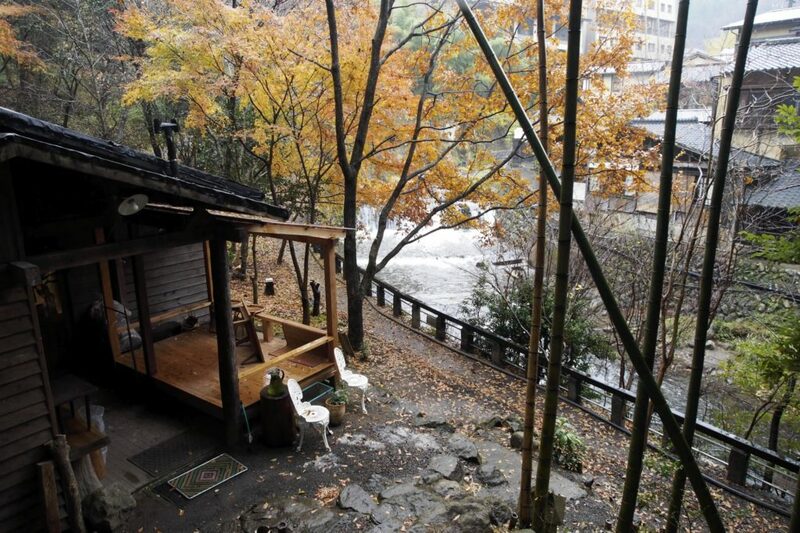 Rent a ryokan (Japanese inn) with a private bath with the sound of the river in the background. After, of course, a hike for that view! Quaint, relaxing but also a fan favorite due, not only to the variety of hot spring baths offered but also to a secluded location high up on Mount Aso. If that’s not enough, here are even more onsen to add to your list. 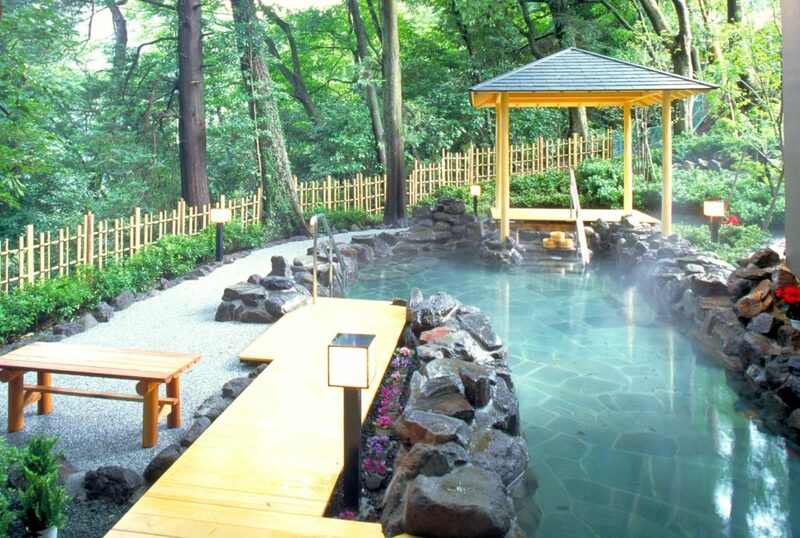 To truly discover Japan’s seductively subtle side, a trip to the onsen is beyond comparison. For first-timers, do you want to try onsen or is it too weird? 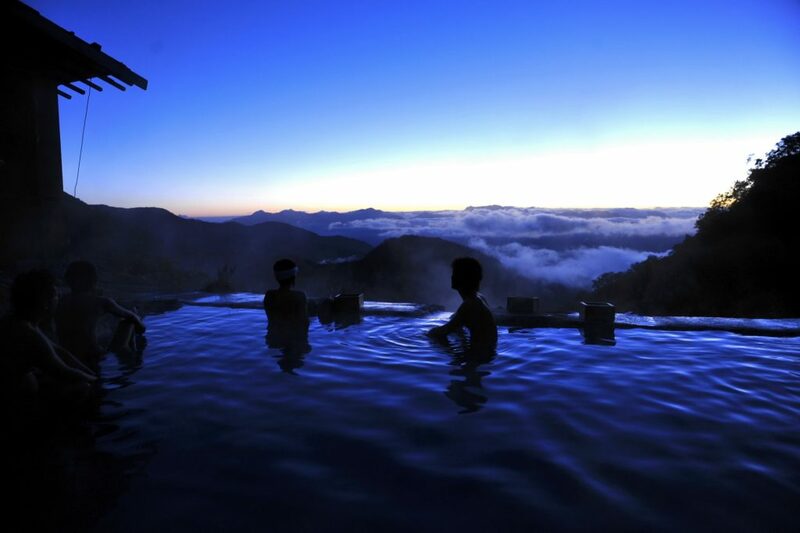 For experienced connoisseurs, what was your favorite onsen in Japan and why? A Tokyo-based journalist incessantly asking, "Why?" From Hokkaido to Okinawa, explore Japan's famous sights or head off the beaten track with our expert travel guide. Living in Japan for a few years inevitably means you'll learn to love things that might have otherwise easily annoyed you back home. 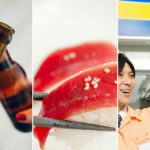 Here's what's grown on me about Japanese culture's multitude of quirks. 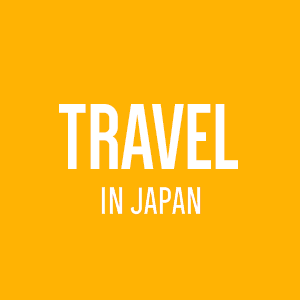 Aug. 11, is a holiday for the sole purpose of giving you time to cozy up to Japan’s mountains. 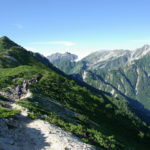 Check out these non-Fuji mountainous destinations that are worth a climb at any time of the year. This picturesque ryokan in the mountains of Nagano looks like something from a fantasy travel magazine. Good news: It’s real and the owner wants you to come and discover it.